Converter pulse step-down. 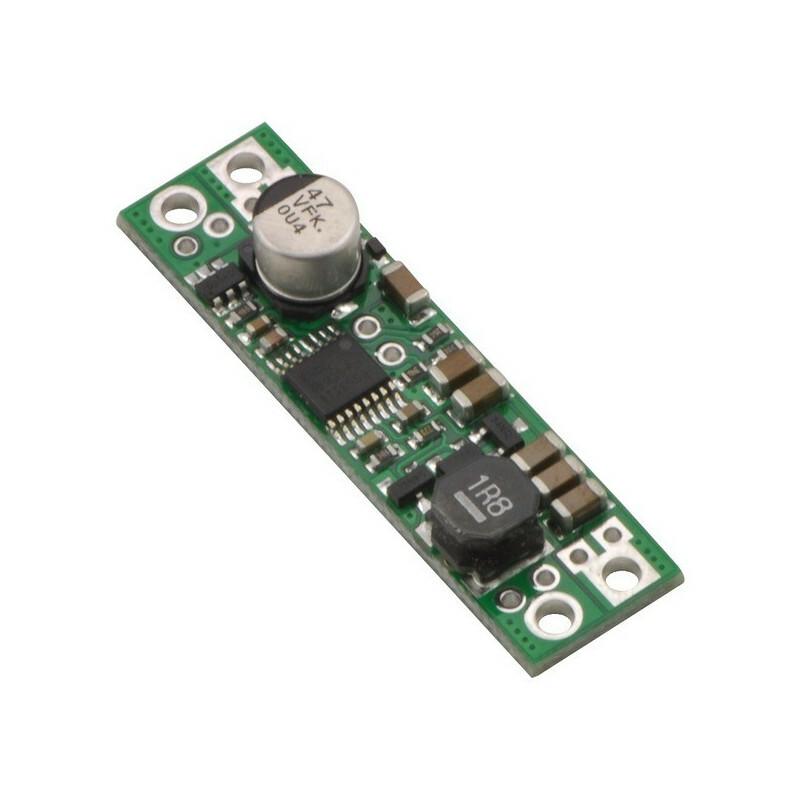 Input voltage 4.5 V to 25 V. the output Current is 3.5 A. the output Voltage is 3.3 V or 5 V.
Details on the website of the manufacturer. 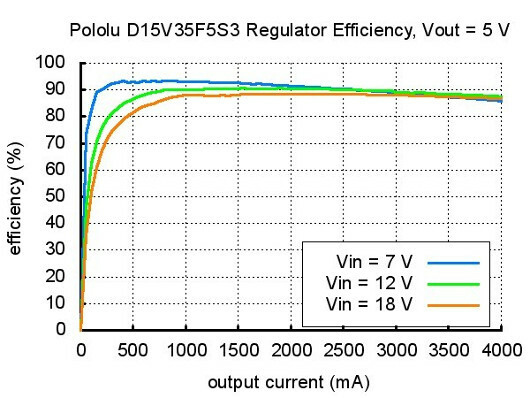 Effective system of the transmitter pulse power, allowing for the consumption of DC to 3.5 A (temporary up to 4.5 A). 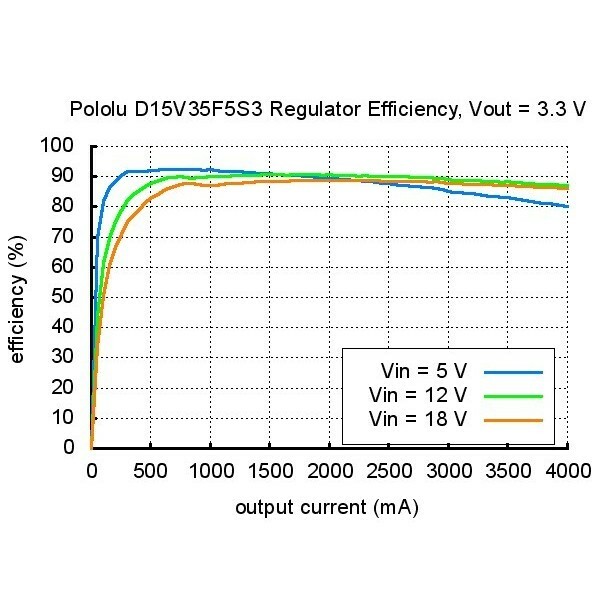 The advantage of the Converter D15V35F5S3 is the ability to select output voltage using jumper. 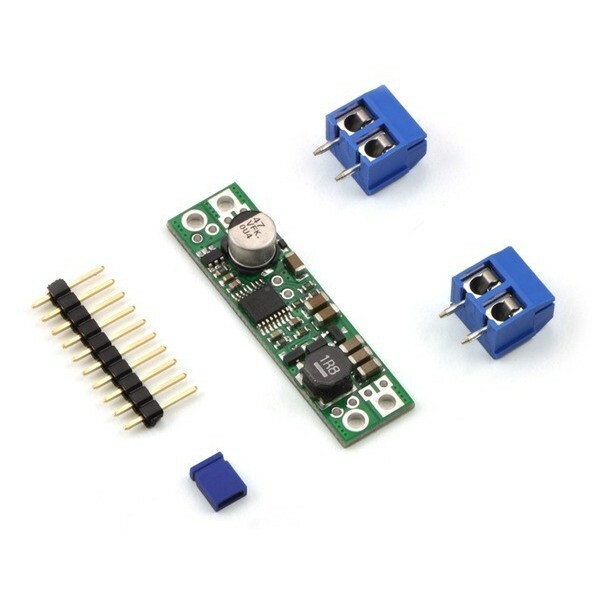 There are two most popular standards: 3.3 V and 5 V.
The module has three pins: input , VIN, weight - GND, out - OUT and jumper voltage selection 3v3 SEL. 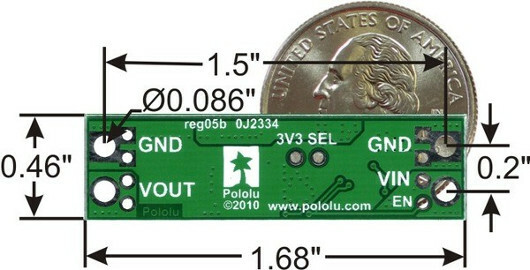 Pin EN (enable) - after podciągnięciu to ground switches the converters in the sleep mode (the system receives then about 150uA). On the Board is a podciągający resistor between EN and VIN which means that the Converter is enabled by default. Pin VIN (input) - input. 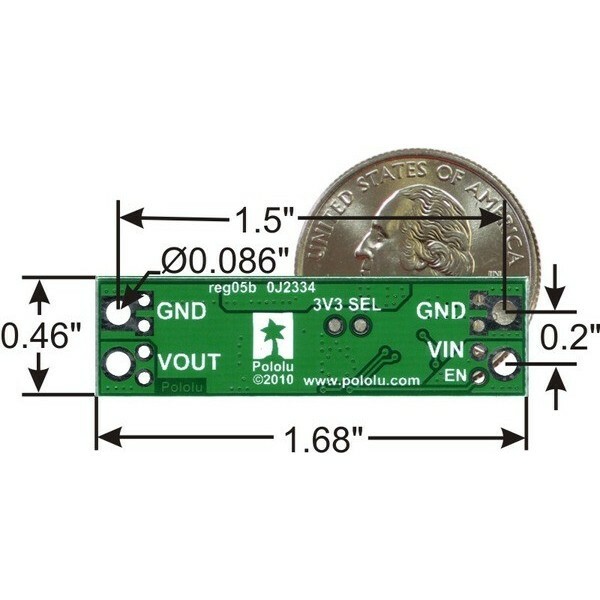 Valid range: 4.5 V to 24V. VOUT Pin (output) - output voltage depends on the setting of jumper 3v3 SEL. 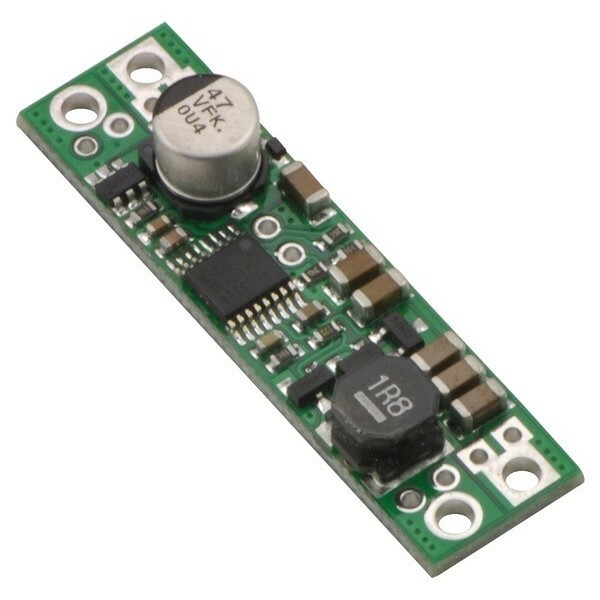 If the contacts are closed, the output voltage is 3.3 V, otherwise, 5 V.
Input power and will be about 10 WATTS. 1W will be introduced in the form of heat. 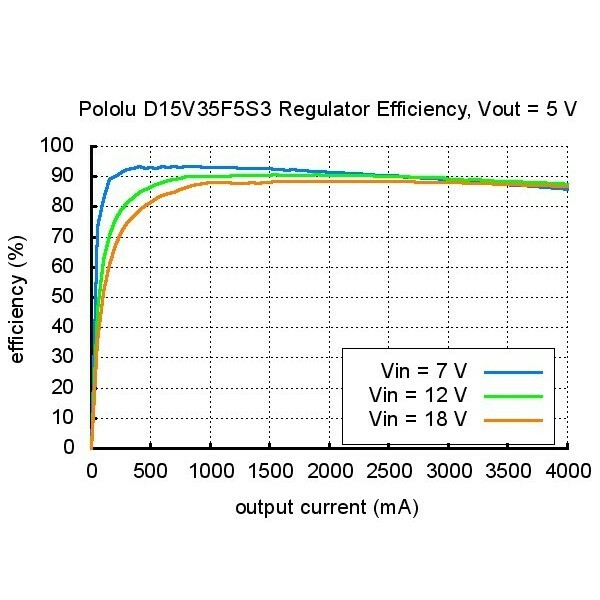 The input current can be calculated by the formula 10 W/12V= 0,83 A. 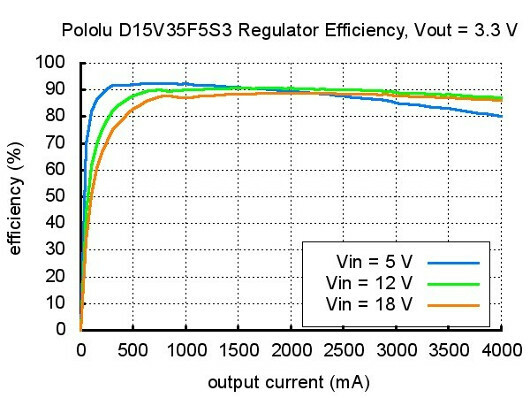 With these parameters, the loss in the linear regulator wynosiłyby to 13W. Optocoupler diffusion, used for example to distinguish between the edges. Closed system in a small, lutowanej surface enclosure dimensions: 2.7 x 3.4 mm. Effective company Hitec servo, has full carbon clincher wheelset, carbon modes increased strength. Speed: 0.15 s/60°. Torque: 3.7 kg*cm. Dimensions: 41 x 20 x 37 mm. Weight: 43 gr. Popular module with microcontroller AVR ATmega2560 . It has 256 KB Flash memory, 8 KB RAM, 54 digital inputs/outputs, of which 15 can be used as PWM channels, 16 analog inputs, and popular communication interfaces.